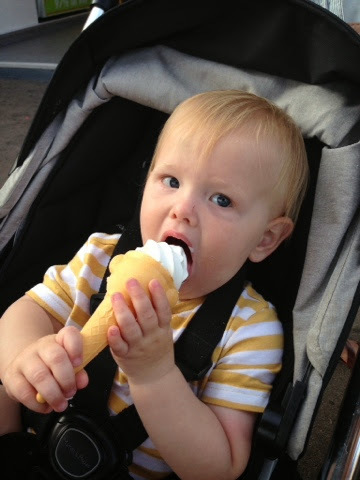 One of my favourite moments from last weekend was Noah having his first official ice cream cone! Whenever we buy them, he always ends up eating the ends of ours and insisting on licking ours every two seconds. 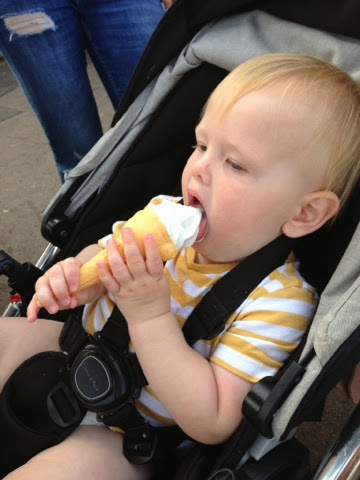 As the weather was hot I didn't really want to give up my ice cream, so we got him his very own and my goodness he looked like a child at Christmas! 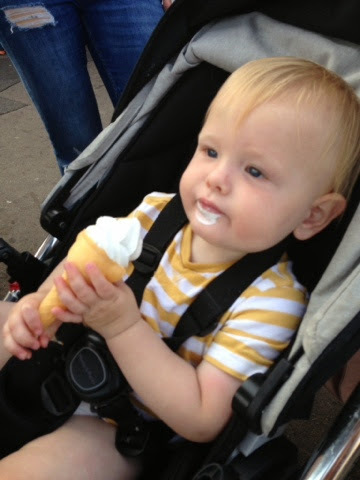 He was delighted to get to work on his own slobbery mess of ice cream, the messier the better! One very satisfied little boy! Haha!